Product prices and availability are accurate as of 2019-04-16 15:00:22 UTC and are subject to change. Any price and availability information displayed on http://www.amazon.com/ at the time of purchase will apply to the purchase of this product. 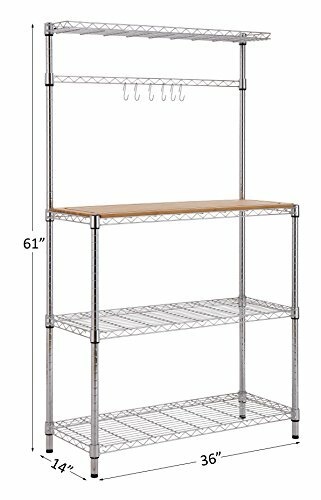 Package Dimension: 36.22" x 14.96" x 7.08"
Assembly Dimension: 36" x 14" x 61"
ADJUSTABLE DURABLE SHELVES: 4 Tier Supreme chrome construction with 3 bottom and 1 top shelves to create extra storage. Bottom shelves to store appliances like microwave ovens, rice cooker and more. 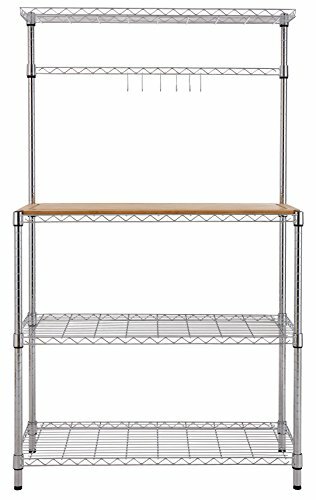 Top shelf is great for organizing spices, oils and other cooking ingredients. 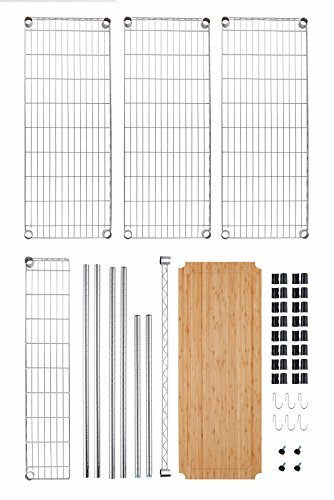 BAMBOO TOP and FREE HOOKS: 35 x 13.5x0.5" Removable thicken bamboo top can be used like a cutting board or as a shelf to hold appliances and utensils, 6 Free chrome hooks to hang dish towels, pots, pans and more, increase your buying value. 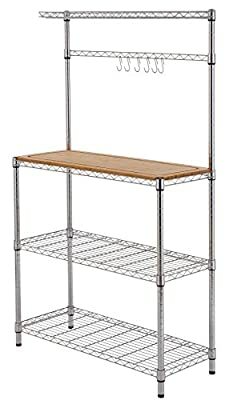 MAXIMUM LOAD ABILITY: 250 lbs per shelf. 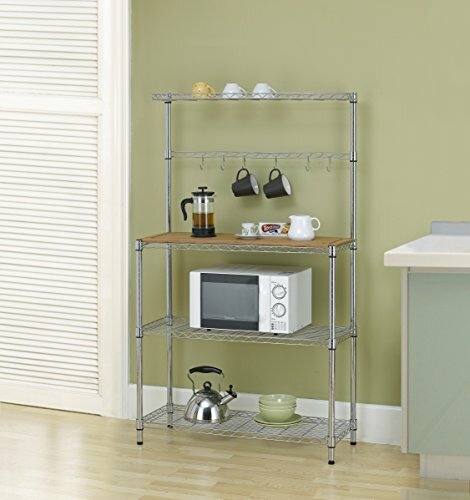 This type of rack is great for those with minimal kitchen storage space to maximize daily use. 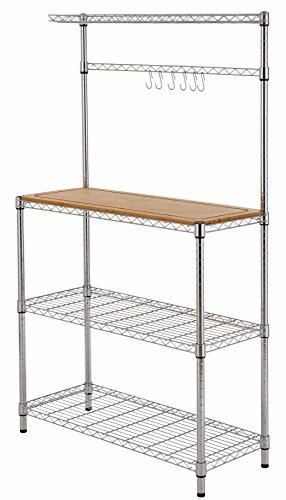 DIMENSIONS: 36" L x 14" W x 61" H (92 x 41 x 156 cm) ANTI-RUST: High quality chrome anti-rust shelves to let you store fresh vegetables, fish, meat and so on.